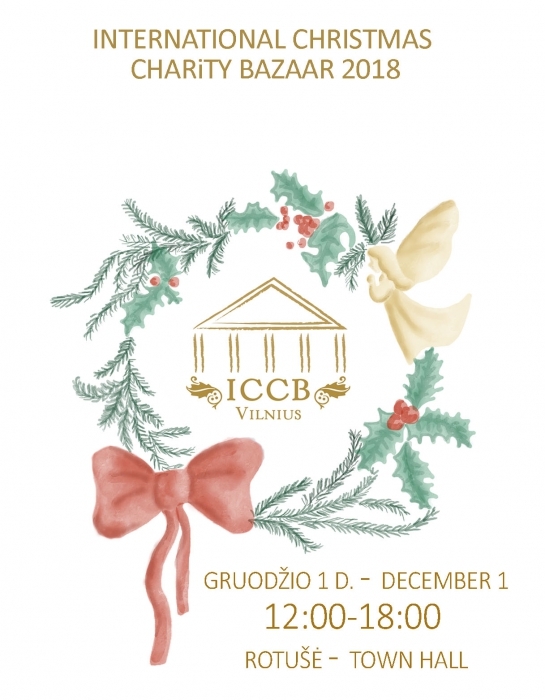 If you are lucky to be in Vilnius, on December 1st please come visit the 16th International Christmas Charity Bazaar, organized by the International Women's Association of Vilnius and supported by many generous donors, including the Kazickas Family Foundation. As every year, all collected funds will be distributed among eight carefully selected recipients. All the organizers of the Christmas Bazaar are volunteers, who commit to the requirement that all money collected on the day of the Bazaar and related activities go directly to the beneficiaries. Booths representing 35 diplomatic embassies, international schools and International Woman's Association in Vilnius will have various books, artwork and Christmas keepsakes for sale at the Vilnius Town Hall. Eleven more stands will be displayed in front of the Town Hall together with the food court offering many traditional holiday treats. Guests will also be invited to try their luck in the lottery filled with many wonderful prizes. This year guests will be entertained by music groups representing different cultures on two different stages. The youngest Bazaar visitors will have a chance to meet the real Santa who comes to Vilnius all the way from Korvatunturi, Lapland. 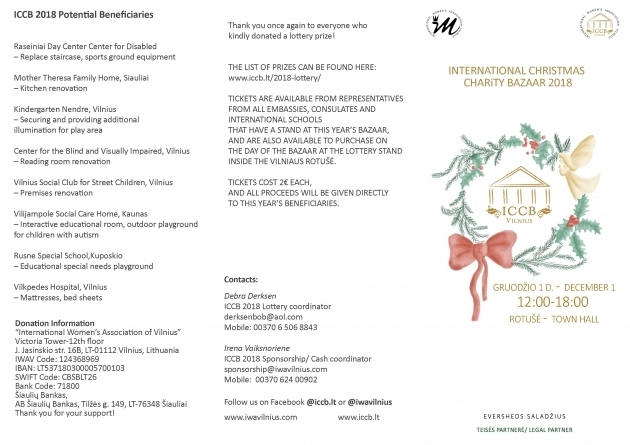 International Christmas Charity Bazaar 2018 is under the kind Patronage of Mrs Silvija Skvernelė and the Honorary Patronage of Mrs. Birute Vizgirdiene. Chair of the event - Ebba Michelsson, Spouse of the Ambassador of Finland to Lithuania. 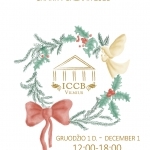 Altogether the International Christmas Charity Bazaar (ICCB) has raised more than 1 million Euros since 2003 for the benefit Lithuanian charities.